Below you can view all the homes for sale in the Princeton Manor subdivision located in Knightdale North Carolina. Listings in Princeton Manor are updated daily from data we receive from the Raleigh multiple listing service. To learn more about any of these homes or to receive custom notifications when a new property is listed for sale in Princeton Manor, give us a call at 919-759-5754. On cul-de-sac w/fenced yard & great patio! MLS#2248874. 5026. MasterBA w/Tile floors, Comfort Height Vanity w/Dual Sinks, Shaker cabinets, Soaking Tub & seperate Shower w/Tile Surround! Loft/Bonus Room & More! MLS#2243736. 1128. Upgraded features include new carpet in select rooms. MLS#2245112. 4823. Lots of openness and sunlight. Motivated seller! MLS#2243664. 1128. Don't miss out on the opportunity to see a wonderful home. MLS#2243034. 2739. This home sits on a .30 acre lot and includes upgraded recess can lights, Granite tops in the Kitchen,Under cabinet lights, Walk in 5' shower at master and many other niceties! MLS#2241659. 2714. 2 Story Ceilings in Family room. Screened porch off Family room MLS#2241262. 1265. All this in an amenity filled neighborhood. MLS#2240819. 2016. One showing in this beautiful listing at Peachtree Town Lane and you will feel at home! MLS#2239937. 4820. This home is scheduled to be completed June 2019 MLS#2237956. 2714.
convenient to recreation areas, shopping, and highway access. Completion 6/2019 MLS#2237681. 2714. Walk out storage is locate on the second floor along with a massive bonus room and full guest Bedroom. Eve lights adorn the front MLS#2237721. 2714. It welcomes you with brick & stone exterior, the big foyer will impress with high ceilings & trim, the dining room is decorated with extensive chandelier, living room offers stone gas fireplace, kitchen provides craftsman style cabinets, sitting room is trimmed in tray ceilings, bedroom has extensive ceiling & ample windows, bath has his/her vanity MLS#2237723. 4346. There is still time to make design choices on this home. MLS#2235142. 2714. Beautiful home with lots of extras ready to move in! Come and see! MLS#2234105. 4852. Beautiful sun room and sitting room off the master Bedroom, upgraded lighting! MLS#2233978. 2714. The kitchen features our popular gourmet kitchen option which includes in-cabinet microwave oven combo with stainless steel GE Profile. Separate Owners his & hers closets MLS#2227550. 2714. Quick access to I-540 & Shopping, HOME COMPLETION Mid April 2019- PICTURES ARE OF SAME HOME LAYOUT BUT NOT OF SAME SELECTIONS MLS#2224006. 2714. 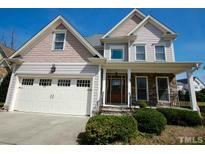 Quick access to I-540 & Shopping HOME NOW MOVE IN READY MLS#2224008. 2714.